The 2018 Chevrolet Volt gives you the intelligence of an all-electric vehicle, with the convenience of a gas backup power system that ensures that you can get where you need to go without running out of fuel on the way there. Not only that, but it is also intelligently designed, fun to drive, and looks great no matter where the road takes you; now if only more vehicles could say that. Thankfully for us, the Volt is available on the lot of Johnson Motors in St. Croix Falls. That means you can get an excellent price on the perfect vehicle to meet your needs and fit your personality close to home. Come find your new Volt with us today, and driveaway happy in the vehicle that you have been hearing all about. The 2018 Chevrolet Volt and its smart design is perfect for life in the big city, as well as country living. That is because the Volt offers you the seamless blend of all electrical and gas power to get you where you need to go in the most efficient manner possible. Featuring an all-electric range of 53 miles, along with an EPA estimated 420-mile total range, the Volt is ready and waiting to take on any trip that you have in mind. Whether you are commuting to work, traveling across the country, or just looking to get away for the weekend; do it in your new Chevrolet Volt. Johnson Motors is your home for the 2018 Chevrolet Volt, conveniently located in St. Croix Falls. As technology changes, so does the way that they apply to how we drive. The 2018 Chevrolet Volt features some pretty remarkable technology features designed to make your commute not only smarter but safer as well. One of these features is Teen Driver Technology, that is perfectly geared for the way teenages drive. This feature will not only encourage safe driving habits but let you know exactly what is going on when they get behind the wheel. It will also mute the audio system when front seat occupants aren’t wearing their safety belts as well as give an audible and visual warning when the vehicle is traveling over predetermined speeds as we. Smarter? We think so. 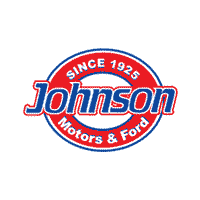 Come experience it first hand at Johnson Motors today.